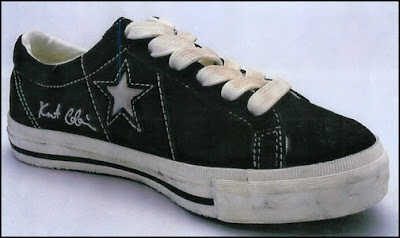 As the story goes, when Kurt Cobain took his own life he was wearing a pair of Black One Star's. Later on this year as part of their Converse Century Music Collection, Converse will release four Kurt Cobain shoes and three Grateful Dead shoes. I found these pics from Baggins Shoes. Pretty simple and straight forward one star here. 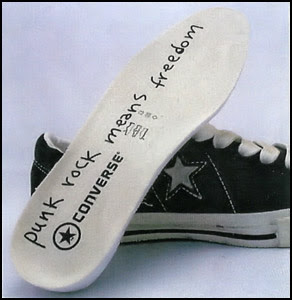 It's distressed and has Kurt Cobain's signature and what I believe is a quote of his on the insole. The other three shoes are Chucks and I post them later when it's closer to their release, in June.